On Friday 22nd Otherworld Exotics made an appearance at Odenton Regional Library, part of the Anne Arundel County Public Libraries here in Maryland. Jen, our librarian friend, invited us to join her for an event called Hedgehog Storytime. We will be doing this event again, and it will be advertised here on the website as well as on Twitter and Facebook. We will advertise every event we do here and through our Twitter, so keep your eyes peeled. 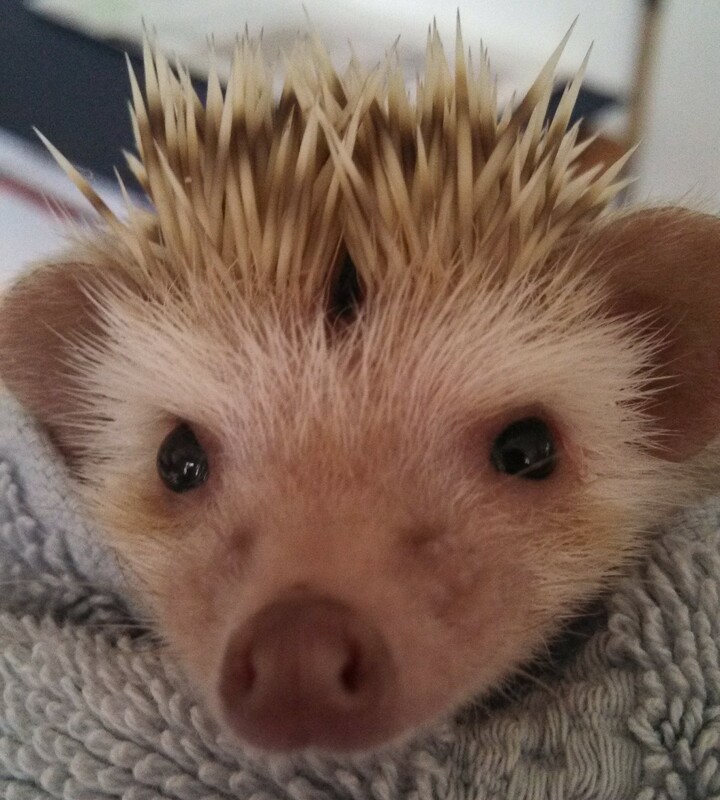 Let us know if you plan on being at an event – if you can’t make it, we can always schedule a date for you to come and meet the hedgehogs (and other animals) another time. Hedgehog Storytime was a fantastic event. In addition to the usual storytime, we added an educational element after the reading finished. We explained basic hedgehog facts including the number of species, what they eat, how long they live, etc. – and followed this discussion with a chance for the children and adults present to actually touch three different hedgehogs. This period was a mixture of petting hedgehogs, answering questions, and in general chatting with the kids. They were particularly enamored with Pimento, who we described as being ‘the spiciest hedgehog.’ He was indeed the most skittish of the bunch we brought (Pimento, Pan, Khaleesi – along with Jen’s hedgehog Kibibi) but the children nonetheless loved him. He is going to be a great ambassador, and we can’t wait to experience future event with him. This event attracted over 140 participants across two sessions. We’re planning two more Hedgehog Storytimes with Jen this year, and are in tentative talks with the library for our Spooky Animal Storytime including our rats around fall. Watch this space for updates! We hope to see you at future events.